Outpatient addiction treatment serves a dual purpose for people dealing with addiction. For those who have completed inpatient detox and rehab and are preparing to segue back into the community and their jobs, outpatient rehab is a great transition tool. Individuals who have become dependent or addicted more recently find success using outpatient addiction treatment programs. In either situation, the individual must be committed to his or her recovery process. He or she will stop hanging out with family and friends for fear they will become suspicious. His or her behavior is secretive and suspicious, and when questioned about it the individual becomes sullen, upset, or angry. He or she never has enough money to pay rent or bills. Borrowing money has become a regular request even though he or she still has a job. He or she loses interest in keeping up their appearance. Skipping showers, wearing dirty clothes, and neglect of hair care is common. He or she has lost their job due to drug screening results, behavioral issues, or inability to focus on work responsibilities. Whether individuals become addicted to legally prescribed drugs or are dabbling in illegal drugs, they are embarrassed and don’t want people to know and think badly or judge them. If you recognize these symptoms in yourself or someone you care about, it’s important to do something immediately. When addiction is denied and neglected, it threatens both physical and mental health. Outpatient addiction treatment can successfully reduce the risk of relapse and help people get their lives back on track before more serious issues occur. WhiteSands drug rehab centers in Tampa and Fort Myers FL offer intensive outpatient addiction treatment (IOP) programs with a multidisciplinary approach to satisfy the varied needs people require when overcoming addiction. There are a number of reasons that intensive outpatient addiction rehab is preferred by some people. Cost is an issue for people who do not have insurance, and an inpatient program is more expensive than an outpatient one. Many individuals can’t afford to take time off from work and others would lose their jobs if it was known their were dealing with drug addiction. For these people, intensive outpatient addiction rehab is very beneficial. When family members are supportive, living at home can be very reassuring and comforting while someone is going through outpatient addiction rehab. 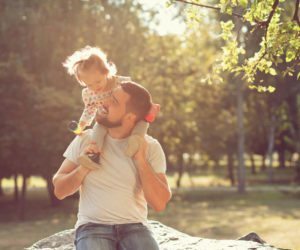 The ability to continue working, studying, being with family (especially children) gives many people an extra incentive to make outpatient addiction rehab successful. Have a great support team which includes family members is a wonderful asset when it comes to preventing relapse. Florida outpatient drug rehab is available at WhiteSands Drug Addiction Treatment Centers in Tampa and Fort Myers FL. Call them at (877) 855-3470 and explain your situation and needs to a compassionate addiction specialist. Following completion of the intensive outpatient program, individuals are directed to support groups in their communities. WhiteSands will also assist with finding a local addiction therapist to continue building your decision-making skills when trigger situations occur. You can take back control of your life and recover from the physical and mental dangers of drug addiction. You can be successful with a Florida outpatient drug rehab program, and WhiteSands is ready to help. Call (877) 855-3470 for more information regarding their outpatient drug rehab programs.